In February the Fire Department had 56 calls for service, up from 45 in 2018. In March the Fire Department had 42 calls for service, compared to 44 in 2018. February 13th, 10:48 a.m. — The Fire Department was dispatched to a structure fire at 260 E County Road 1450 North, for mutual aid to Van Buren Volunteer Fire Department. March 4th, at 12:24 p.m. — The Fire Department responded to 908 N McGuire S. for a structure fire located in a garage. No significant injuries were reported. March 9th, 6:07 p.m. — The Fire Department responded to a structure fire at 22 W. Park St. Fire originated in the kitchen. No significant injuries were reported. March 12, 5.56 p.m. — The Fire Department responded to 551 East U.S. Highway 40 for a Vehicle into a building. 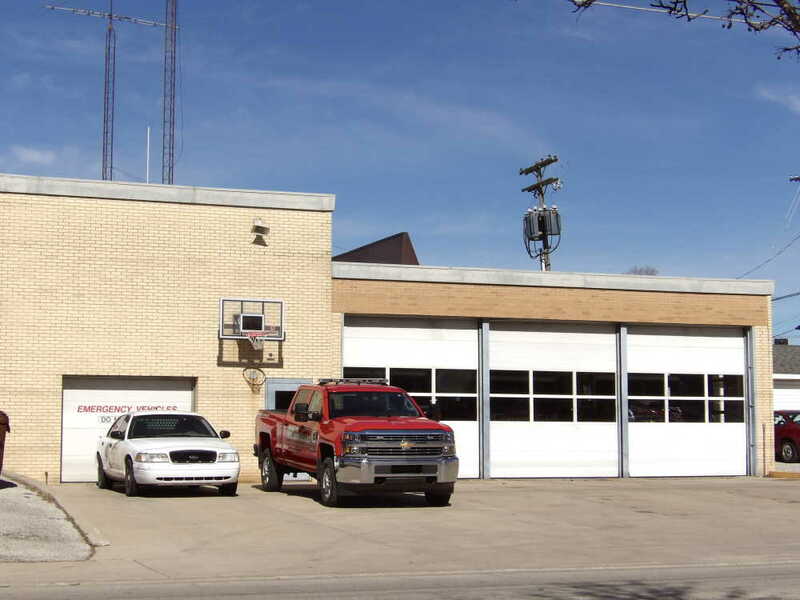 March 13th, 6 p.m. — The Fire Department was requested by Law Enforcement to stand by at Depot St and Robison St during a standoff due situation. March 20th, at 8:54 p.m. — The Fire Department responded to 1106 N Leavitt St. to a mobile home kitchen fire. No injuries were reported. March 24th, at 5:31: The Fire Department responded to 120 W. Jackson St. Apartment 411, for a cooking type fire. No injuries were reported. Firefighters have been handling EMS training logging continuing education for EMT recertification. Firefighters have also been training on rotary saws and handheld thermalimaging camera. Firefighter Zach Mormans completed State Certified Fire Officer Strategy and Tactics Course in February. Firefighter Raymond Staub was awarded the Firefighter of the Year award for 2018. Assistant Chiefs Roy Kellar and Tobey Archer were awarded the Fire Chief’s Exceptional Service awards. Firefighter Raymond Staub was also awarded the Firefighter’s Exceptional Service Award. Captain Rob Bell, Firefighters Ryan Brown, and Zach Mormans were awarded the Life-Saving Medal along with several training and seniority-based achievements being recognized with ribbons and attachments. April 9, The Fire Department was on hand at Meridian Elementary Vehicle Day talking to kids about fire apparatus, firefighting, and fire safety. Firefighters installed 8 smoke alarms in the jurisdiction in During February and March.